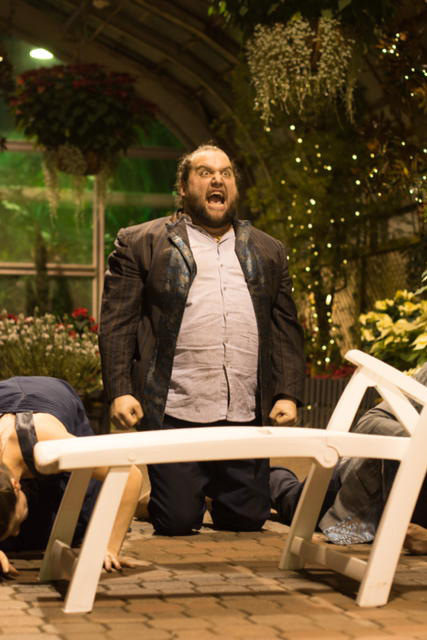 Midsommer Flight remounts TWELFTH NIGHT at Lincoln Park Conservatory. 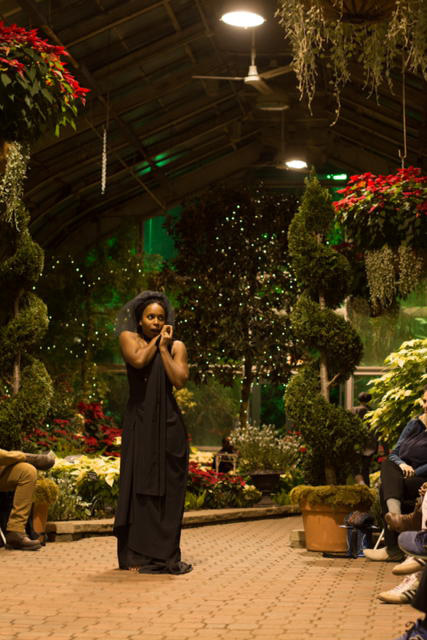 Midsommer Flight gives Chicago a merry alternative to traditional Xmas shows. Director Beth Wolf and her frolicking ensemble return with a Shakespeare comedy classic. They sing. They dance. They improv. The talented, bare-footed crew race around Illyria playing instruments and falling in love. A solid Meredith Ernest (Viola) is the only newcomer in this 2016 remount. My 2015 Review. 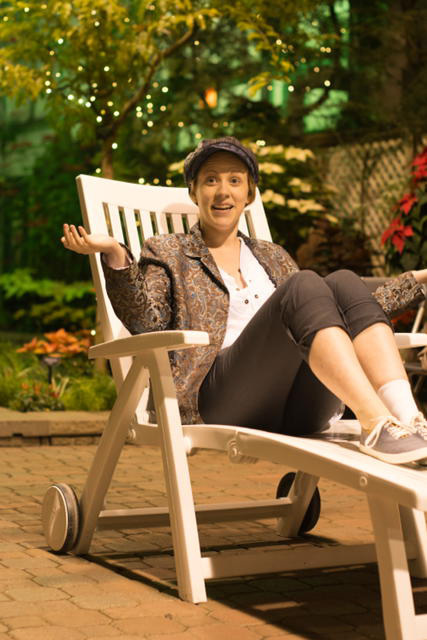 Shakes rom-com again comes to life in the lush setting of this indoor park. Please note the usher said the running time was 90 minutes. The program says 100 minutes. The reality is 120 minutes. Although the enthusiastic cast never tires from their playful antics, I got a little antsy with the extended length. Some of the comedy bits go longer than necessary with excessive mugging to the crowd. Even though I love Alex Mauney’s musical interludes, the last song isn’t received with the same appreciation. I want the more solemn melody announcing ‘the end of the show’ to be quicker and sooner. Still, TWELFTH NIGHT is a wonderful seasonal offering. Paired up with the neighboring Zoolights, it’s a fun (and free) holiday date night. Performances are free, Donations Collected.